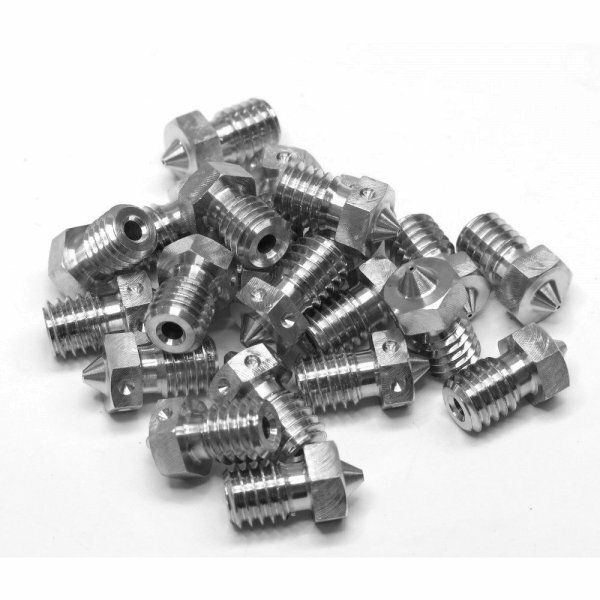 Produktinformationen "v6 Extra Nozzle - Stainless Steel - 1.75mm x 0.25mm"
These are not superior in performance to our brass nozzles, and will in fact give you ever so slightly lower printing speeds. These nozzles are exclusively for use with highly specialised materials that may corrode brass nozzles, or for applications where the tiny amount of lead present in the brass nozzles is not acceptable. Weiterführende Links zu "v6 Extra Nozzle - Stainless Steel - 1.75mm x 0.25mm"
Kundenbewertungen für "v6 Extra Nozzle - Stainless Steel - 1.75mm x 0.25mm"